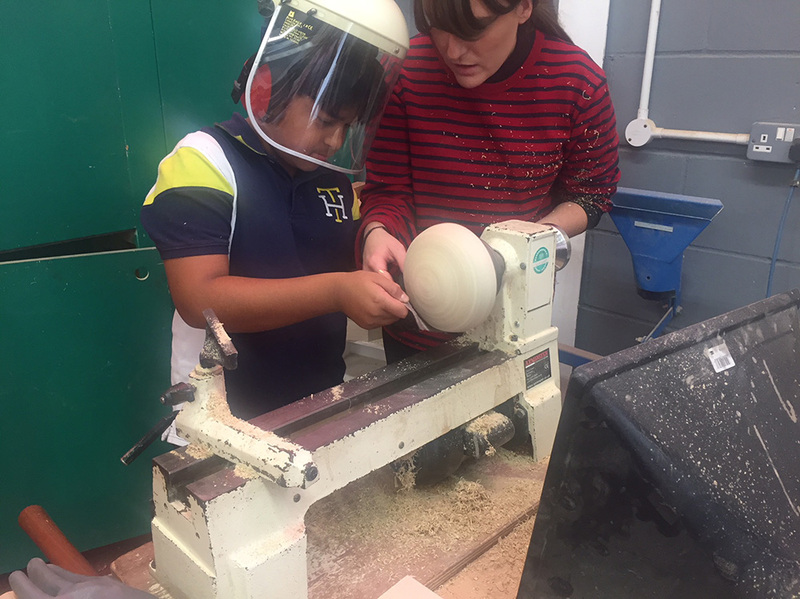 This week we hosted a workshop with school children from Fatima Elizabeth Cates Academy in Walthamstow. 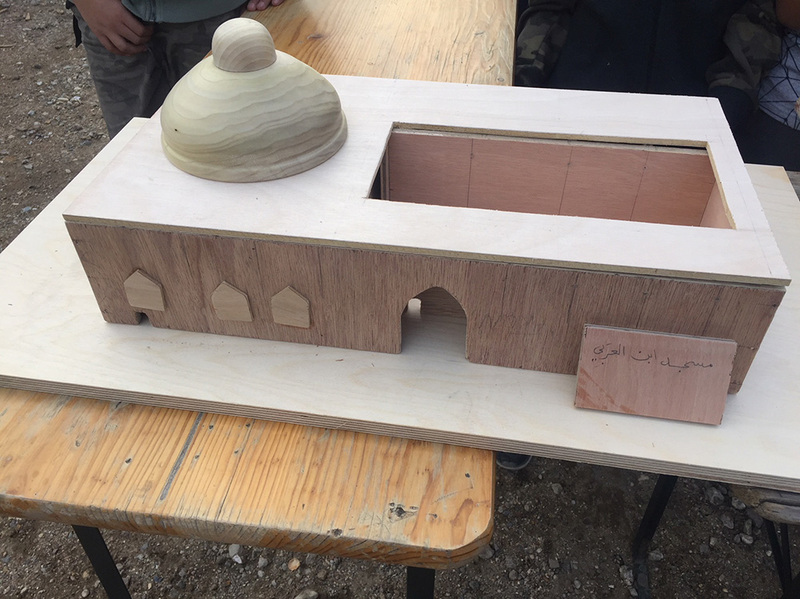 The children aged 8-16 years old came to use the workshop to work on a project designing and building how they envision the mosques of the future to look. 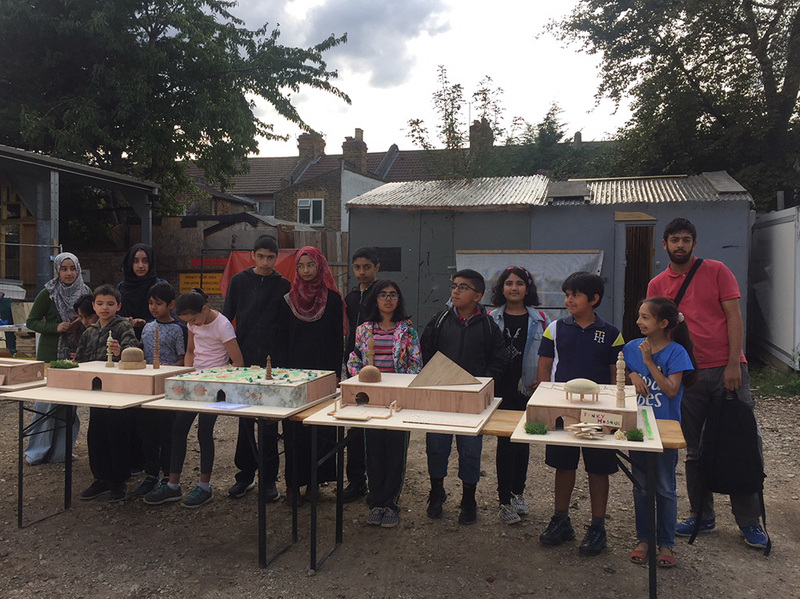 Co-developed with the school leaders and the Blackhorse Workshop team, the aim of the project was to get the students to think ‘deeply, responsibly and creatively about the mosques of the present and the future’. 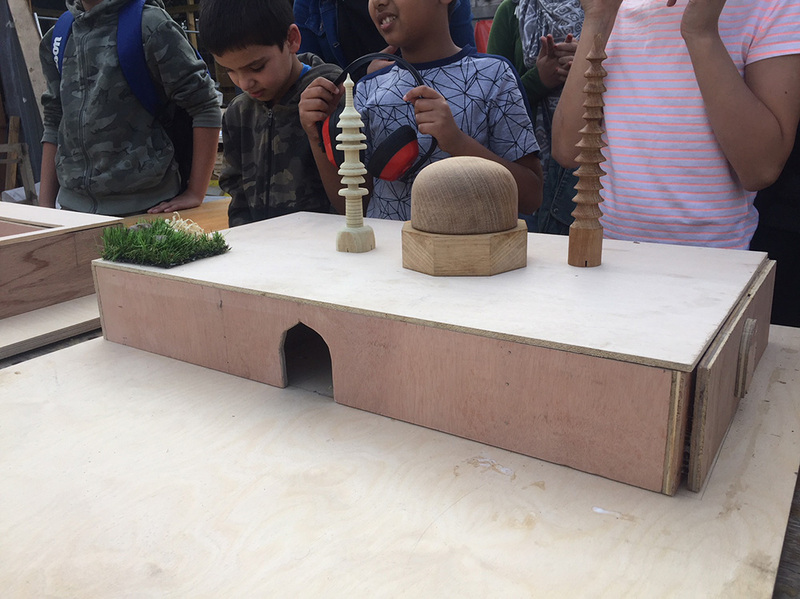 By exploring the history of the building of mosques in the past, the children were given the task of designing and building models of what they would like to include and how they think a ‘Future Mosque’ should look. 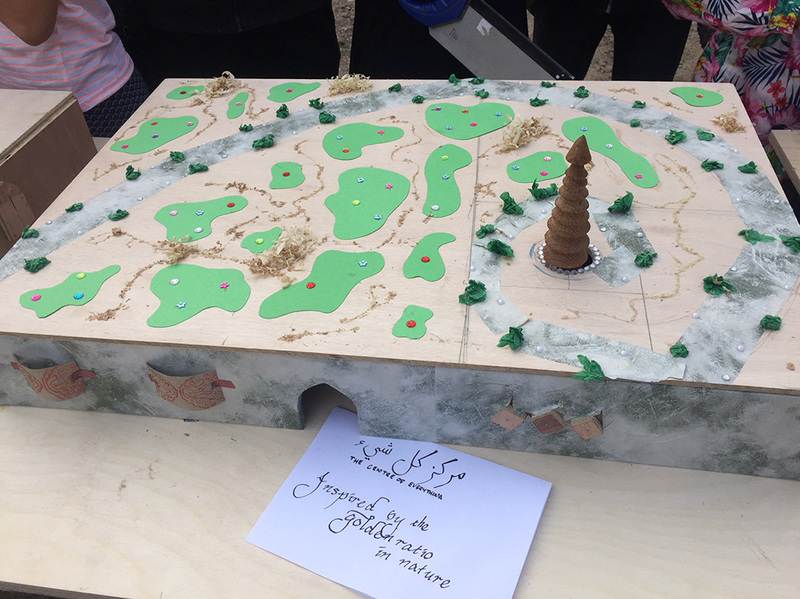 Working in teams, they sketched their ideas which were then used to make scale models from plywood and other materials. 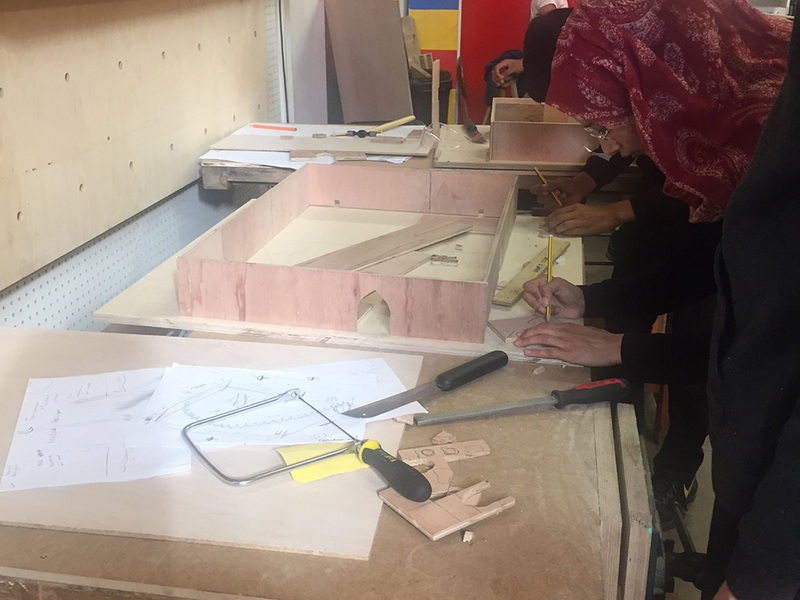 Over two days they worked with the workshop tools and machinery to build the structure and internal rooms. 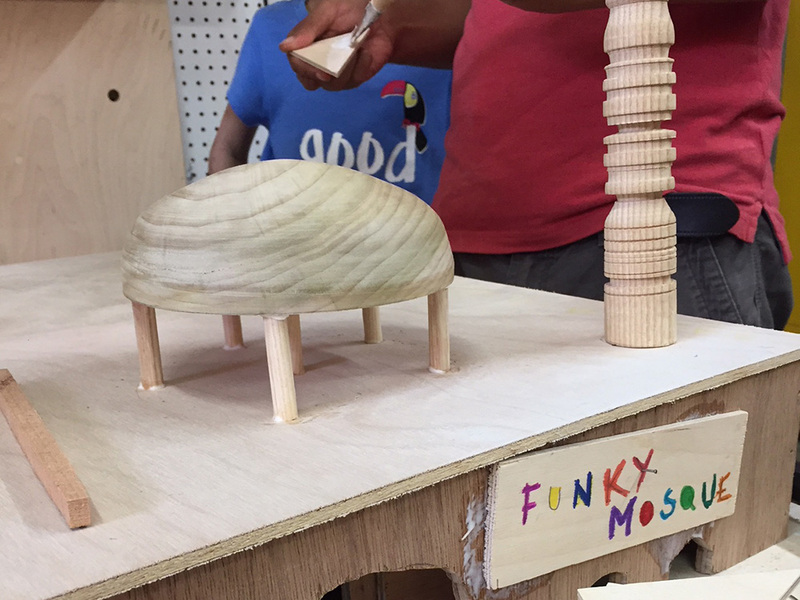 They then designed domes and minarets which were turned on the wooden lathe to create fantastic additions. 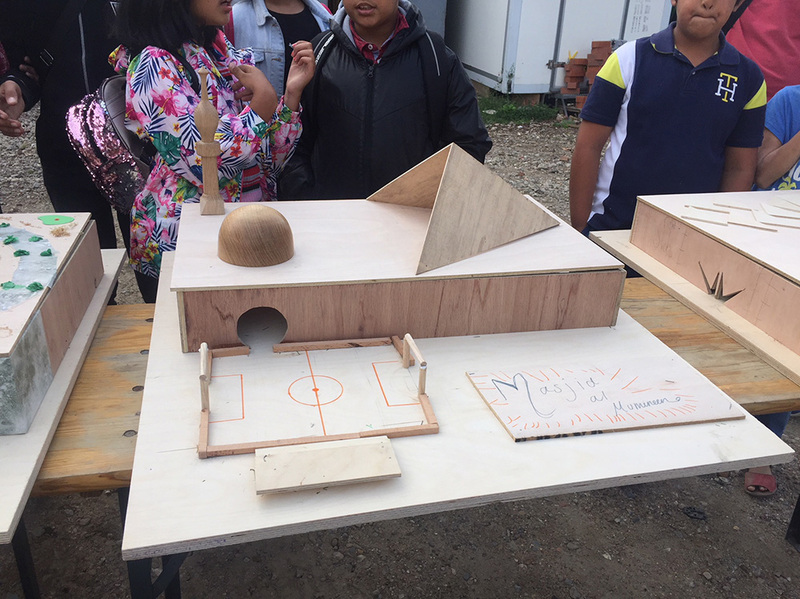 Creativity was at its peak, the designs of the mosques ranged from the ‘funky mosque’ to a mosque with it’s own football pitch and a mosque with a rooftop garden. 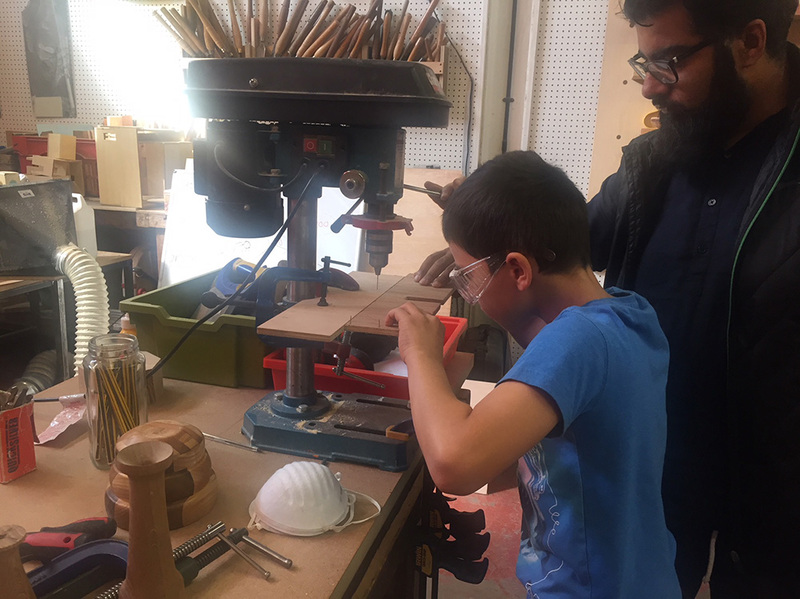 The finished results will be on display at Blackhorse Workshop during Open House on Saturday 22 September, so pop along and have a look and be inspired.